The best time to find an attorney who specializes in Elder law is before one is needed, though many people avoid sensitive subjects associated with aging until a situation becomes difficult. At Boyum Law, we understand how challenging these situations can be and will handle your needs with the concern and respect they deserve. Elder law refers to a wide range of topics and, as experts in the field, we’re well-versed in each area and can help ensure that nothing is left to chance during your autumn years. Medicaid has very strict income requirements that an individual must meet in order to qualify, and people often miss qualifying by a very small amount. In these cases, the state will generally allow you to spend that money, so that you do qualify for Medicaid. However, there may be times where you don’t want to spend the money or you have a spouse who is also relying on the joint funds to cover his or her expenses. Nebraska allows you to set up a qualified income trust, also called a Miller trust, which protects the funds in a special account and only allows you to draw a small personal needs allowance from the funds every month, as long as you do not exceed the monthly income guidelines. It also allows your spouse to cover his or her living expenses, without disqualifying you from Medicaid. This is highly instrumental if you need to move to an assisted living facility while your spouse remains at home or if you’d like to take advantage of other Medicaid benefits, such as in-home healthcare, without penalizing your spouse for the extra care you need. Your family will also have to make very hard decisions about your care in the future, but the good news is that you can make your wishes known well in advance and relieve them of the burden of wondering what you would want. Health Directives (Living Wills): Your health directive, or living will, will spell out everything that you wish to allow medically, in the event you are unable to communicate it on your own at some point. You may also use it to explain what your wishes are for after you pass. Guardianships (And Guardianships in Advance of Need): Your living will can specify who you would like to be your guardian, if doctors and the court decide that you need one. Selecting someone in advance and making sure that the individual understands your wishes can ensure that you have more control over what happens and will ease tension between family members, especially adult children, should you need a guardian. In these situations, the guardian does not have any rights or privileges until the court awards them, though your wishes will be taken into consideration. If you have not selected a guardian in advance and one is needed, a family member or loved one may step up and volunteer. We also handle this type of adult guardianship case, though in this situation, we would represent your loved one and help them navigate the court system to ensure you stay protected. Powers of Attorney: Aside from, or as part of, your living will, you should also decide who has the legal right to make decisions on your behalf. You may choose one person to have a general power of attorney, in which case he may handle all your legal decisions or you may assign different people to manage each. For example, if you have a spouse who lives with you, and you want that person to make your medical decisions, but you have an adult child who happens to be a financial whiz on the other side of the country, you can select different people to have different privileges. 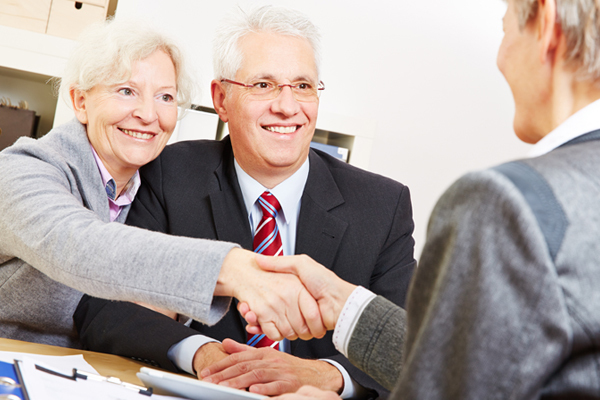 It’s worth noting that a financial power of attorney will generally grant privileges across the board, so this person could open and close accounts and sell your home on your behalf even when you are capable. A medical power of attorney does not grant privileges unless you are unable to speak for yourself when medical decisions need to be made. These documents can be custom-written to your wishes and desires, but it’s essential to have them to reduce the burden on your family and to ensure your wishes are followed through on. At Boyum Law, we offer free elder law consultations, so you can get the information you need at no cost to you. This allows you to make informed decisions about your care and assets and establishes a plan to reduce the burden on your loved ones. If you’re struggling with your long-term care planning or living will, please contact us for your no-obligation consultation today.